Former Senator Hinton Mitchem, who served in the Alabama Legislature for more than three decades, died Tuesday, January 22nd. He was 74. 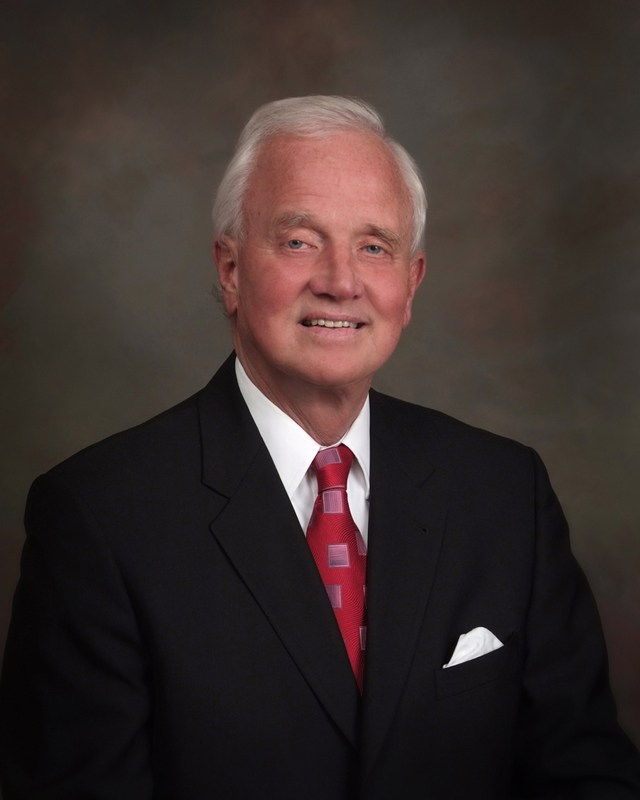 Before his retirement in 2010, Mitchem had been elected nine times to the Alabama Legislature. He served one term in the House of Representatives and the remainder in the Senate, representing Marshall County and portions of Blount, Madison and, at one time, DeKalb. Mitchem held many leadership roles as a state legislator, and in 2007, his colleagues elected him president pro tempore, the Senate’s top-ranking job. Services for Mitchem will be announced later by Moss Funeral Service, Cullman. Senator Mitchem is survived by his wife Judy and his children, Todd Mitchem, Derrick Mitchem and his wife Heather, Tonya Grindon and her husband Steve, and Brittnie Mabry; and four grandchildren, Ashleigh, Emma Grace and Henry Grindon and Derrick Hinton Mitchem. He enjoyed spending time with his family, frequent beach vacations with the family and grandchildren and tailgating at ballgames. This past year was the first Georgia vs. Auburn game he had missed in 48 consecutive games. Traveling and golf were lifelong pastimes. Mitchem was born and raised in Georgia, and he received a bachelor’s degree in education from the University of Georgia in 1961. He was a veteran of the U.S. Coast Guard. He moved to Marshall County in 1962 and was the president of Hinton Mitchem Tractor Co. from 1965 until he sold the business in 2005. He was elected to the Albertville City Council in 1968, and in 1974, he received Albertville’s “Outstanding Young Man Award.” That same year, he was elected to the Alabama House of Representatives. After serving one term in the House, he was elected to the Alabama Senate. The only break in his lengthy Senate tenure was in 1986 when he ran for Lt. Governor. After losing that bid, he was reappointed to his former Senate seat six months later. At the time of his retirement, counting his combined legislative service, Sen. Mitchem had served more time in the Alabama Legislature than any other senator in Alabama history. A strong supporter of education, Mitchem recognized the need for a chancellor to oversee the state’s junior colleges and technical schools. So in 1982, he sponsored the bill establishing a system chancellor, which helped fuel the growth of the state’s two-year college system and expanded Alabamians’ opportunities for affordable education. In 1980, Sen. Mitchem sponsored the bill creating the Alabama Housing Finance Authority. By the time of his retirement, the authority had sold $2.5 billion in bonds that provided low-interest loans for homes for more than 185,000 Alabama families. Mitchem also took the lead in passing the TVA in-lieu-of-taxes bill that took the money the Tennessee Valley Authority paid to the state and returned it to the counties where the TVA operates. From 1983 to 2010, it meant more than $50 million to schools and local governments in his district. Sen. Mitchem considered it the most important piece of legislation for his district during his service in the Legislature. Former Senator Lowell Barron, who served with Mitchem for almost three decades said that his work establishing TVA funding was instrumental to all of North Alabama in building new schools, senior centers and other badly needed facilities to serve the public. Mitchem also served on the Joint Legislative Committee on State Parks, serving three times as its chairman. In 1998, Mitchem sponsored and worked hard to get passage of a $110 million bond issue for state parks, including a $26 million renovation at Lake Guntersville State Park in his district. In 1987, Mitchem secured money in the General Fund budget for the state to purchase Cathedral Caverns. While he said some of his colleagues criticized him for throwing money in a “hole in the ground,” he considered it a chance to preserve a magnificent natural resource and to leave a lasting legacy. He was correct, according to Frank McDaniel, who served alongside Mitchem for 20 years in the Legislature and said his colleague will be remembered as an advocate for state parks and his leadership on Cathedral Caverns in particular. Mitchem’s leadership was recognized many times. He was selected as one of the five outstanding senators in 1983 and again in 1984. In 1985, his colleagues selected him as the most outstanding senator. He served two terms each as chairman of the Senate’s Finance and Taxation Education Committee, General Fund Committee and Confirmations Committee. In January 2007, Sen. Mitchem was elected by his colleagues to serve as president pro tempore. Recognition of his valuable service to Alabama extended beyond legislative chambers. In 1980, Sen. Mitchem was appointed chairman of the Alabama Commission on Physical Fitness, a position he held for 28 years. He also served 18 consecutive years as chairman of the Alabama Special Olympics. And in 2006, he was honored for having made significant contributions toward enhancing the lives of Alabama’s elderly citizens and was inducted into the Alabama Senior Citizens Hall of Fame. “Hinton Mitchem will go down as one of Alabama’s finest past-serving legislators, serving his state and district well and with no whisper of ever an ethical violation,” said former state Sen. Ted Little.